I am sure each of you, like us, was saddened and shocked at the senseless tragedy in Florida over the weekend. Doctors Council stands united with those who believe in an inclusive and open society- one in which we are all welcome and treated equally. We stand together in support of the LGBTQ community- in Florida and everywhere in our country. We condemn the hatred that brings this violence. With the deaths of at least 49 people (and at least that many and more wounded) Sundaymorning at a club in Orlando, Florida, the toll from gun murders this year continues to rise. This is the deadliest mass shooting in American history. As we have in the past, we must continue to push to overturn the ban by Congress on the CDC on gun violence research. Gun violence is a public health issue. Reform on gun control is needed. I reflect on how these tragedies are occurring too often- one is too many, and yet they continue to happen- senseless attacks (especially with guns) on people simply for who they are or who they represent. There are many stories coming out of this. I reflect on the one where the mother received texts from her son hiding in the bathroom with others as the gunman came after them. My heart goes out to that mother and the family and friends of her son. Please join us in remembering the victims and their families, friends and loved ones in your thoughts and prayers. I am proud that our members–each of you–work in facilities where we provide services to those we care for regardless of who they are and where they are from. We will continue to advocate for a society and a country that reflects the best of this mission of inclusiveness and not of bigotry, divisiveness and hatred. Thank you for what you do each day and what this represents. Rather than tearing us apart, these tragic acts–this time directed at the LGBTQ community–bring us closer together. According to a recent New York Times article “If medical error were considered a disease, a new study has found, it would be the third leading cause of death in the United States, behind only heart disease and cancer.” And medical error may cause over 250,000 deaths a year. The key point, as Dr Makary explains in the article, is once the errors become transparent we can move out of the blame game and start discussing the systemic errors that can lead to a safer medical system. Secrecy suggests individual culpability and distracts us from the systemic failures that lead to unnecessary errors. If we are going to confront medical errors head on then we can’t be scared of the facts. End of Life Care Discussions with our Patients: Are Doctors Ready? Medicare is now reimbursing end of life care in the form of advance care planning. The question is: are doctors ready to have serious end of life conversations with their patients? Clearly this is an area that doctors need more education, training and experience in. What are your thoughts- both as a doctor and a potential patient (or your family as potential patients)? In the current medical climate, reform and physician burnout seem to go hand and hand. Older posts on this blog have addressed this issue: Doctor Burnout is a Patient Care Issue and Burnout: Is it me or is the system designed that way. A recent study by Spinelli et al “Seeing the Patient Is the Joy:” A Focus Group Analysis of Burnout in Outpatient Providers” uses focus groups in an attempt to understand the physician’s own experience of the burnout. Just this past Sunday, May 8th, both the New York Post and the New York Times published articles attacking Health + Hospitals (H+H)- New York City’s public hospital and healthcare system. The New York Post front page story used an “anonymous” source to call Coney Island Hospital a “Hell Hospital” and criticized the care provided by and professionalism of the nurses and doctors. Unsubstantiated and unprofessional allegations centered around the care received by children. The experiences described by “Anonymous” fly in the face of descriptions of millions of hospital visits of New Yorkers to H + H facilities around the City. The article questions the dedication of the staff and nothing could be further from the truth as the doctors and nurses of Coney Island Hospital work hard every day to provide quality care and an excellent patient experience. The New York Times story, also on its front page, reported on Lincoln Hospital about the care provided to a gunshot victim who ultimately died. Lincoln Hospital is a premier Level 1 Trauma Center and one of the busiest in the country. This was a misguided attempt to blame the doctors, nurses and other caregivers as Lincoln Hospital provides excellent care every day. Doctors Council and our healthcare union allies since Sunday immediately worked together and with the Mayoral administration and Dr. Raju, President of H+H, to push back and defend the care provided to our patients in H+H, and stand up and speak out for our dedicated doctors and other members of the care delivery team. We wrote a Letter to the New York Post Editor and a Letter to the New York Times Editor that responded to these attacks on our public hospital system. H+H also is responding to these attack stories and Dr. Raju has sent a strong message to Coney Island employees. Make no mistake: there are those who want to see H+H hospitals and facilities close. Doctors Council is working with a coalition of healthcare unions and community organizations to protect H+H. On April 14th, we rallied on the steps of City Hall in support of H+H and our public safety-net system. H+H Cares for All New Yorkers and is the Safety-Net for Everyone. H+H does not receive its fair share of funding, especially based on the number and percentage of Medicaid patients it treats, as well as caring for immigrants (who do not qualify for health care under the ACA). Vitally needed funds for H+H are shrinking. The Mayor released a report “One New York: Health Care for Our Neighborhoods,” that lays out the problems facing H+H, especially financial issues in a changing healthcare environment, and a plan to move H+H forward in alignment with Dr. Raju’s Vision 2020. But, H+H is under attack. There will be more and more calls for closures and cuts. We will fight back! We will protect H+H and the public safety-net system because it is the right thing to do for our patients and the communities we serve. That’s why doctors, nurses, public health experts and community members are constantly calling for full and adequate funding of the public system and will be in Albany next week advocating on this vital issue. We will defend our members, because it is the right thing to do. I have had the pleasure to get to know many of you over the years. I know that each of you chose to work where you are because you believe in public healthcare. Our doctors who work in the New York City Health + Hospitals (H+H) believe in the mission that healthcare is a right for everyone, as H+H has always done: that everyone has a right to access to quality and affordable care regardless of who you are, your ability to pay, your zip code or immigration status. We stand together with Coney Island Hospital. We stand together with Lincoln Hospital. We will continue our advocacy in the weeks and months ahead. I call on each of you to join us in these efforts. Together, we are united in serving our patients and communities and protecting the care and services that we provide every day. If you have not already done so, please complete this COPE Form (fill out top part regarding COPE and print your name, sign and date it) and return it to us by fax at 212-481-4137 or email to info@doctorscouncil.org. Our COPE program enables us to get our message out to elected officials about the critical importance of maintaining the public safety-net system and where we work. Please do your part and return the Form today. DC: Dr. Dreyer, can you tell us a little bit about your career here at New York Health + Hospitals and how you got started? BD: Sure. I was medical student here in the late sixties, but I came back in 1976 to be the head of ambulatory pediatrics here and I’ve been here ever since. For many years, I was in charge of a primary care pediatrics program that offered comprehensive care to children and adolescents, and had a lot of special services for them. We had co-located mental health services, co-located dental services, and we actually had offsite clinics for homeless families in some of the homeless shelters and hotels that were nearby Bellevue. Since then we’ve had offsite clinics in school health programs in high schools and elementary schools. In 1998 I took over as head of the entire pediatric service here at Bellevue and I’ve been doing that ever since. DC: What are some of the challenges that a pediatrics department at a large flagship public hospital like Bellevue have in light of the tremendous changes that have taken place over the years? BD: So for us, the change hasn’t been tremendous in pediatrics. We have always served an immigrant population and a poor population. Where the immigrants come from is somewhat different. When I first came here many of the immigrants were from Puerto Rico; right now they’re from all over Latin America and the world. The majority of our patients are from Latin America, with a heavy concentration from Mexico and Central America—and that’s new. The challenges are not so much different. In some ways we have less to offer people, and in some ways we have more to offer people. We have more to offer people in that the progress in pediatric health care means that we keep children well more easily. I can keep most children with asthma out of the hospital whereas when I came here I didn’t have the tools, the drugs, the treatments, to offer to kids that would keep them out of the hospital. Right now, most of our asthmatics are out-patients and only a few get admitted to the hospital. So in that way things are better; immunizations have spread; we have immunizations for many more childhood diseases–when I first came here we had a ward full of kids with diarrhea and fevers and pneumonia and right now we hardly have any of those kids being admitted anymore. So in some ways things are better. In addition, children’s health insurance has improved dramatically in the United States, but especially in New York City, so the majority if not all the kids we see are now insured on public insurance. That said, there are challenges and the challenges go in two directions: first of all, H+H has been struggling more with budget deficits and therefore when I came here, we had many more staff to take care of the kids we cared for. Many were social workers, nurses, not necessarily more doctors but certainly many more different kinds of staff that really worked with the families to help us provide better care. And now many of those staff have been cut, so that’s a challenge. I think that the requirements for documentation and billing have exponentially increased so that many of our pediatricians now spend much more of their time documenting the visit rather than necessarily being with the patient. And so that’s frustrating to them and also I think to some degree it cuts into our time to make a difference for families. DC: I want to touch on one thing that you mentioned, you said that in previous decades you would have wards full of children simply because we didn’t have the drugs, immunizations, etc. that we have now but I want to touch on that in terms of one thing that you mentioned as far as the fiscal challenges facing Bellevue and H+H at large. A lot of the way that public health care is paid and reimbursed has traditionally been through FFS (fee-for-service) models and with the advent of the ACA and the changes accompanying that there has been a reduction in reimbursements and funding for safety net hospitals because you are seeing less in-patient care and more out-patient care. BD: Absolutely and that is very true in pediatrics; we know how to keep kids out of the hospital. But that means that sometimes we are not as valued as we used to be because we don’t have a ward full of kids. The reality is that managed care—pretty much all insurance, public insurance for children, is in a managed care environment, so theoretically it shouldn’t matter to H+H whether they are inpatients or outpatients, they should be getting some sort of capitated rate and they should be able to provide the care that they need to. It doesn’t always work out that way, but that’s the way it’s supposed to work. In addition, unfortunately most of the transformation of health care due to the Affordable Care Act has focused on adults, expensive adults with chronic diseases and not on children. There’s not that much money to be saved.. and [the ACA] is also focused on saving money on those patients. And the reality is in children there’s really very little if any money to be saved. Improvements need to look at the childhood outcomes rather than on saving money. The government at the federal, state, and local level has been slow to be innovative about those issues, but that’s where we need to go. We need to be looking at how do we improve childhood outcomes for the same amount of money, and how do we—what are the services that children need, which gets to of course the child poverty policy. DC: Well that’s what I wanted to ask you about next; it seems that you know, in recent decades we have learned more and more that social determinants of health are just as powerful as acute illnesses we see presently in the facilities, and so, tell us more about the child poverty guidelines that you’ve been a part of creating and how that plays into what we can do to use health care dollars to improve those conditions? BD: You’re absolutely right. In general we say that social determinants of health account for about 50% of both financial and real outcomes in health care and probably clinical care accounts for about 20%. Those are sort of overall population numbers, but they –I’m sure that that’s true for kids. So what we need to do in health care in addition to the children with chronic diseases that we need to care for and improving their overall preventive care, is improve their ability to succeed in life. And so, we here at Bellevue have focused on this for a number of years, well before the Affordable Care Act and well before this policy. One of the things we do here, not necessarily uniquely, but certainly on the forefront are developing programs to help families parent their children better so that they’re more likely to succeed in school and you know that starts a whole cascade of things for people’s lives. If you don’t succeed in school you don’t succeed as an adolescent, you drop out of school, you get on drugs, you get in trouble, you don’t make money as an adult, and you become part of an intergenerational poverty cycle. So that all starts in early childhood, and so we have programs here like Reach Out and Read and the Video Interaction Project, which we have actually been doing cutting edge research on for a number of years that have focused on helping parents be the parents that they would like to be. Poor families have a lot of stresses and they don’t always have the bandwidth to do what they need to be doing at home with their kids, both about medical care and also about nurturing their kids in a way which improves their early brain and child development. So that’s been a heavy focus of us in pediatric care here at Bellevue and that is part of the AAP policy as well; a focus on early childhood, incorporating programs in primary care pediatrics that really help parents nurture their kids, or connecting them to resources in the community like home visiting programs that help parents nurture their kids. In addition, we’re asking pediatricians around the country to screen for the social determinants of health and then try to get families services that help them with the problems that you find. So for example, food insecurity- we know that about half of poor kids are food insecure. There are a lot of resources around that can help them, especially in a place like New York, one of them is WIC, which I think most pediatricians in H+H do a very good job of connecting families with the Women, Infants, Children program, which provides nutrition to pregnant women and young children, but food stamps—it’s not called food stamps anymore, but I’ll say that since no one knows what SNAP (Supplemental Nutrition Assistance Program) means—we’ve been trying to get people not to call it food stamps only because it has some kind of a pejorative connotation, but in fact, nobody knows what SNAP means so we usually talk about food stamps anyway. Food stamps is an important program for poor families, and I find that not all of our families are getting food stamps. Some of them don’t even know they qualify, some of them maybe have fears of going in to apply or have shame or whatever, so one of the things we are trying to do is get pediatricians to make sure that families are getting the resources that really they qualify for. DC: So, overall what you say are the biggest changes, or what do these new guidelines on child poverty entail? BD: The main two or three guidelines for pediatricians are: screen for basic needs—nutrition, housing, heating, child care, parental education, maternal depression. Screen and the whole point of screening is not just to find that it’s a problem but connect them with resources. And so I think we at H+H are very well positioned to connect families with resources. I don’t know if you know about a program called Health Leads, but Health Leads is a program where we work with the Health Leads group. They recruit and train college students to sit in our waiting rooms next to a phone and computer that we provide and we can send families to them and they will find out where the family lives, connect them to the offices and agencies they need to go to, connect them to food pantries near where they live and then will follow up with the families to make sure they actually made it there, they got the service, it was ok.
DC: Is this a program only at Bellevue or is it throughout the system? BD: It’s not yet throughout the system, it’s in several places in H+H. It’s at Bellevue, I believe it’s at Harlem, but I do know that H+H has been looking at trying to get it system wide. They’re committed to seeing if they can get it system wide. So that’s sort of the Cadillac program for a large system like H+H to do, but even somebody in their practice can have a one page screening tool and if a patient checks off yes I’m food insecure, yes, I’m about to become homeless, you can at least have some information about where in the community they can go for help, and so we’re asking pediatricians to screen for basic needs which are the social determinants of health and help them get the services that they need. It’s not necessarily the doctor who has to do that, it can be a college student, it can be the nurse, it can be in some cases the social workers, so that’s one area: screen and refer to get parents the resources they need to help their children. The second thing is, to see if you can integrate onsite programs that help parenting, help nutrition, I mean, we’re lucky here, we have a WIC program that’s in Bellevue so I don’t have to send them anywhere, I can just send them downstairs to the ground floor and they can go right there. We work collaboratively with the WIC folks. So those are two major things here: make sure you have Reach Out and Read, the Video Interaction Program (VIP), we have it here, it’s now at Woodhull, we’re planning to have it at Elmhurst or Jacobi, so that’s another area where we’re trying to see if a program like that can be instituted throughout H+H. DC: Some people may not be familiar with it. Tell us a little bit more about the Video Interaction Project and what it’s about? BD: The Video Interaction Project came out of the Reach Out and Read model, which uses the visit, the preventive care visit to the doctor and the waiting room as an opportunity to intervene and help the parents. And so building on that the Video Interaction Project recruits parents while they’re waiting to see the doctor. It has an intervention area it’s usually a separate room where they talk to the mom about what she’s doing, they videotape her playing with her kid, they review the videotape with the mother to support the good things that she’s doing, to point out to her what the kid is doing and then we send the mother home with some educational material—educational meaning child educational toys, books, songs, etc, and then at each child’s visits the same interventionist sees that parent and repeats this and the parent brings back their DVD, gets their next videotaped interaction and this has been shown to improve parenting to improve childhood cognitive development, language development and social and emotional development and school readiness and decrease the need for later intervention. We’re in the process with the support of the city council which has put in some money for this, as well as some foundations, to very actively spread this around H+H. Reach Out and Read I believe is in most if not all the H+H facilities, and again that’s where volunteers read to kids in the waiting room and model reading for the parents and when they come to the pediatrician, the pediatrician counsels them about reading and gives them an age appropriate book in the language that they speak to read to their child. And some advice about how do you read to your child and the importance of it. That’s also been shown to very significantly increase language development in poor children. DC: You mentioned before that actually the majority or many of your patients in pediatrics are insured, but what about the children of undocumented folks? Is that a large percentage of the patient mix, and if so, does that present fiscal challenges in terms of being able to provide them care? BD: So the good thing about children is that in New York State and four other states, it doesn’t matter whether a child is documented or not or immigrant or not. They all qualify for public health insurance. So we’re living in a bubble in the United States where I don’t have to worry about that regarding the children. And even the adults are at least not being deported, so from that point of view I think New York State and New York City, and really all of New York State is a good place to be. The other states that do that are Illinois, Massachusetts, Washington and California. And there are many states to be honest where not only are undocumented children not insured, which is all the other states, but there’s a five year rule so that if you have a child who comes here as an immigrant they can’t get insurance for the first five years that they’re here, which if you think about it for a child, is a lifetime. To be honest, however, the majority of the children we see, are not immigrants themselves. There are some, but the majority of the children are born here to immigrant parents and again, I think in NYC, parents are not too paranoid about deportation, as opposed to other cities or states where they are rightly to be concerned that if they seek out services that they’re going to be deported when they’re found out. DC: So, since a lot of H+H’s fiscal challenges are directly correlated or related to pediatric services, doesn’t insurance help? BD: By the way, let me just say something—yes we have public health insurance, it doesn’t mean we get paid at a high enough rate, so for example, Medicaid payments across the country, Medicaid services are paid on the average at about 2/3 the rate that Medicare payments are made. We have been fighting at the AAP and for two years we got parity so that Medicaid was paid at the same rate as Medicare, and since the majority of beneficiaries of Medicaid are children it had a big impact on child health services as far as underpayment. But after those two years were over, it was not reauthorized, so it’s not that there are no fiscal issues in the payments for children, it’s just that they all have insurance. Mostly Medicaid and Child Health Plus, which is for people just above Medicaid, so the answer is yes—we get paid but we get paid probably at a lower rate than for adult services and so there are fiscal problems based upon that. BD: And by the way, we don’t get paid for what I’m talking about, which is screening for social determinants, connecting the families with community resources. One of our hopes was that the transformation of health care would focus not only on adults with chronic diseases to try to save money but also give us reimbursement for connecting families and for the extra work that it takes to work with poor families and connect them with the resources they need for their social determinants. But we don’t get paid for that. We get paid the same amount as somebody who has a middle class or wealthy family who doesn’t need any of those services. We don’t get paid for the social worker, for the child life staff, for any of those things that our families need, and families with more income don’t. DC: Right, so a couple of last questions about what you were mentioning that the screenings being a big part of the guidelines, and also that there’s so much involved now in a patient visit—the documentation, the electronic medical record, and you know, it’s countless doctors can speak to the fact that they feel that they spend half the visit hunched over their computer and not actually interacting with the patient. How does the pediatrician now, trying to do the screening component with the other documentation requirements of a visit and still getting the interaction in with the patient? BD: Number one: the good news is the pediatrician doesn’t need to do the screening. We’re talking about the team. Even in a small private practice there is a team. Most people have a medical assistant or a nurse. We wouldn’t necessarily recommend that the doctor do the screening; the medical assistant could do the screening. Again the way we do it here, is the parent fills out a checklist while waiting, shows it to the pediatrician, and they have a very short discussion and then they’re sent, in our case here at Bellevue, to the project leads volunteers to help connect them with resources, or if it’s very severe, to a social worker. The extra burden is not significant, and actually most pediatricians recognize that these activities are as important as anything else they’re doing with the family because otherwise, you’re not really able to help the kids. We’ve had a lot of support in general from pediatricians about doing this, and again, my attitude –I think people in H+H have resources to do this, not that we are rich in medical support, but we are in a big health care system that there are other people who can help us with this. I think people in small practices are more under-resourced and there we say, do what you can- ask just one question and focus on one of those needs, whatever you do is going to be really helpful. Have a one page two-sided handout where there are questions on one side and resources on the other that you can give to parents. The answer is to do what you can. DC: Do you foresee, you know, there’s all this talk in the news of the looming fiscal crisis at H+H, do you have concerns about the fiscal challenges facing the system resulting in cuts to these vital support staffs? BD: Yes, I have lots of concerns. I don’t know what to do with them. But so far we have been—a lot of staff, support staff, has been cut from the hospitals. And each of the support staff, including clerks, that are cut means that things don’t work as efficiently, people cannot communicate with us the same way that they should, the doctors are more and more doing more and more that’s not related to our new poverty screening but to not having the help that we need. For example, in Bellevue and I am sure in many H+H facilities, the ratio of medical assistants to doctors is not what it should be. So, you know, in the real world, every doctor has their own medical assistant who is just working with them all the time to take care of them, so they can be more efficient, that’s not true of course here. And potentially those things can get worse. So that’s the bad news. On the other hand, I generally remain optimistic that in a city like New York, we’re not going to abandon our patients. We have a long tradition of caring for families, adults and children, who are poor—that’s what H+H does basically. And in the end I don’t think we are going to abandon that mission. DC: Thank you so much for your time today. 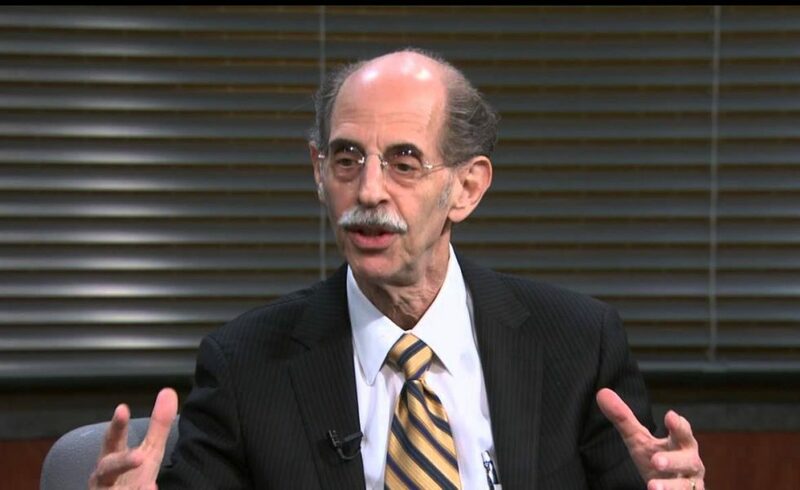 This has been an interview with Dr. Benard Dreyer, President of the American Academy of Pediatrics, and Director of Pediatrics at Bellevue Hospital.